Lillian Sharpe, A.S. of Ekonk Community Jr. Grange #101, chose to donate her hair to "Beautiful Lengths," a partnership between Panteen and The American Cancer Society. Beautiful Lengths takes only strong, beautiful hair and transforms it into wigs for cancer victims. They are currently the largest donor of real hair wigs to the American Cancer Society. 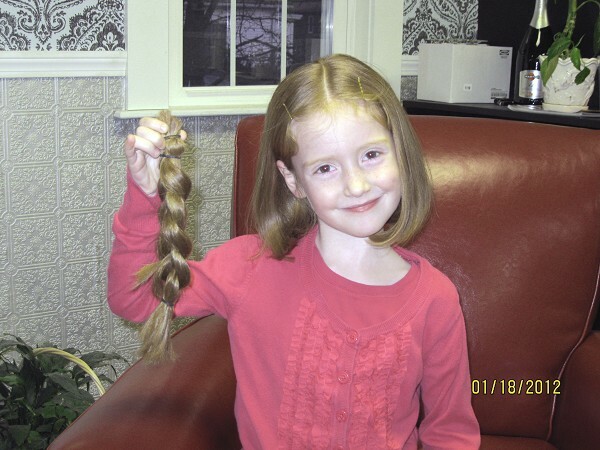 Lillian said she chose to sacrifice her hair so that a child who lost theirs to cancer can have "real" hair once again. Lillian is the granddaughter of Russell and Sue Gray and is six years old.